2017 will be a record year for ARCTOS in terms of PhD defenses with so far nine PhD defenses and more to come. In June, Ireen Vieweg and Ann Eileen Lennert successfully defended their theses (read more here). 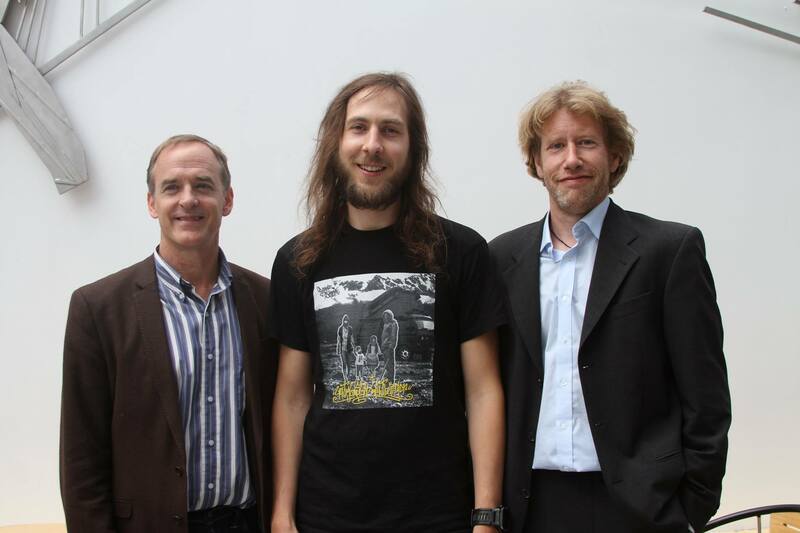 On July 28th, Marc Silberberger defended his thesis entitled ‘Spatial scales of benthic ecosystem in the sub-Arctic Lofoten-Vesterålen region’ at Nord University in Bodø. Congratulations to all three and all the best for the future! The marine ecosystem of the sub-Arctic Lofoten-Vesterålen region is commercially and ecologically extremely valuable, due to its strong implications for the Norwegian and Barents Sea. As part of the marine ecosystem, seafloor (benthic) habitats play an important role for a variety of ecosystem services, including food production, carbon sequestration, or nutrient cycling. By studying spatial scales of benthic community structure, larval dispersal, and food-web structure, this dissertation contributes knowledge that is important to secure a sustainable marine spatial management of the Lofoten-Vesterålen region. Collectively, epifauna and infauna reflect different environmental drivers of spatial variability. Nevertheless, benthic ecosystem functioning in the Lofoten-Vesterålen region is largely tied to distinct warm- and cold-water benthic communities associated with Atlantic and Arctic water masses, respectively. In addition, retention of larval stages on the continental shelf maintains the separation of these communities. A considerable habitat connectivity and a preserved food-web structure that supports different top predator fish species, characterize the local ecosystem on the continental shelf. The presented work illustrates the multiscale nature of benthic ecosystems and identifies environmental variables that can be used to assess benthic habitats and their resilience in areas with similar environmental settings.